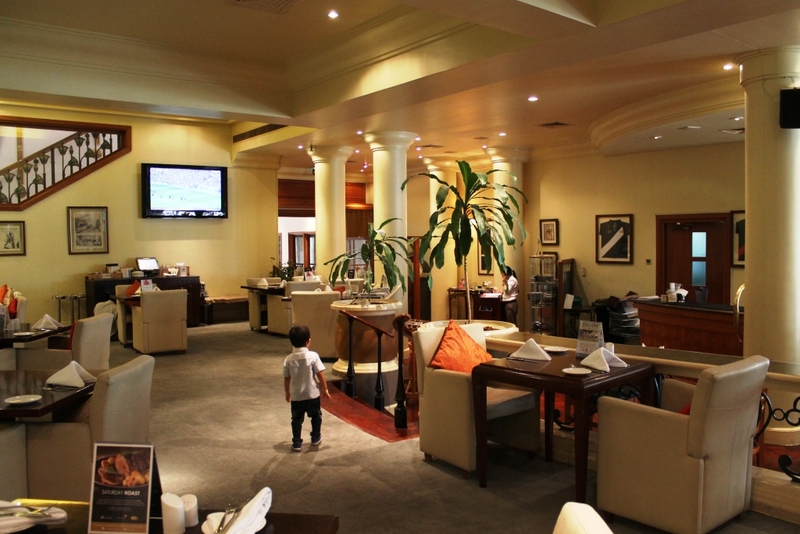 The restaurant was easy enough to find, and as I walked in, it was pretty clear that the restaurant had a very relaxed vibe, with comfy sofas and televisions dotted around the restaurant, showing football match highlights. The carpeted floor added another touch of cosines to the restaurant, which I loved, and the over all ambiance was welcoming. 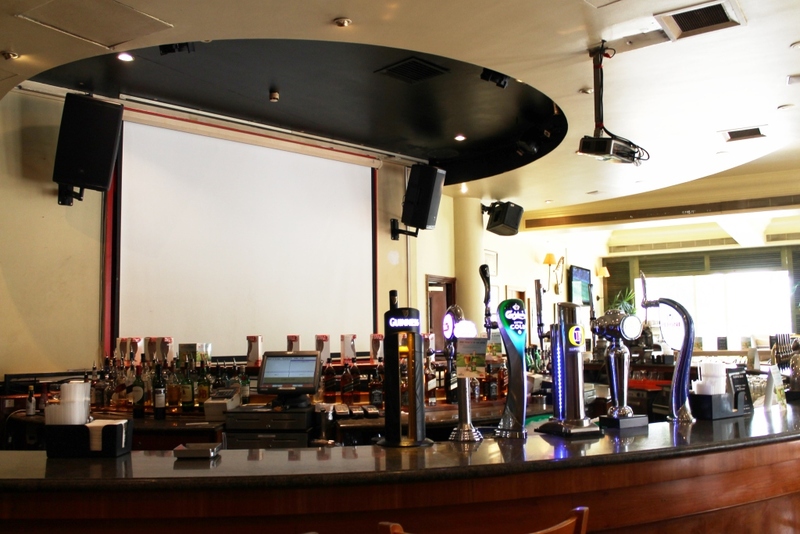 The main pub area has a huge screen as it’s backdrop (pictured above) where the football matches are shown, and I can imagine this must be a great way to watch the game with other football fans. Can I just add how proud I am of my home town club, Leicester City Football Club for winning the Premiership this year! *Whoop whoop* I wish I was there to have witnessed the parade through the city, but my friends and family sent me enough photos and videos of the electric energy on that day. Anyway, I digress. Let me get back to the food! Of course, being a non-alcoholic, I still found that apart from the cocktails menu (as well as alcoholic drinks of course) and a handful of dishes, we could try everything else on the menu. 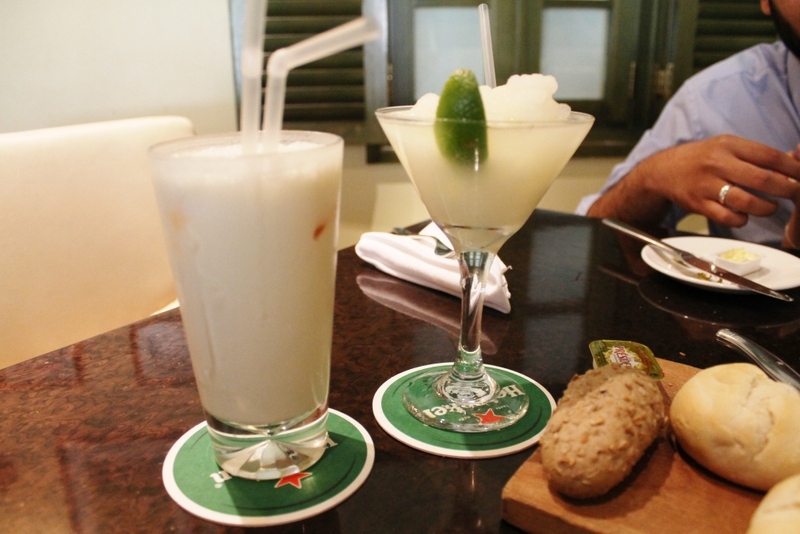 The mocktails sounded delicious, and we opted for the Virgin Pina and a Virgin Daiquiri. I opted for the lemon flavour Virgin Daiuiri (pictured in the Martini glass), which was a little too sour for me. However,the Virgin Pina, which is a concoction of pineapple juice, coconut cream and orange juice, was delicious, and actually tasted like a milkshake. Carter’s also offer a range of fresh juices and soft drinks on their Drinks Menu. 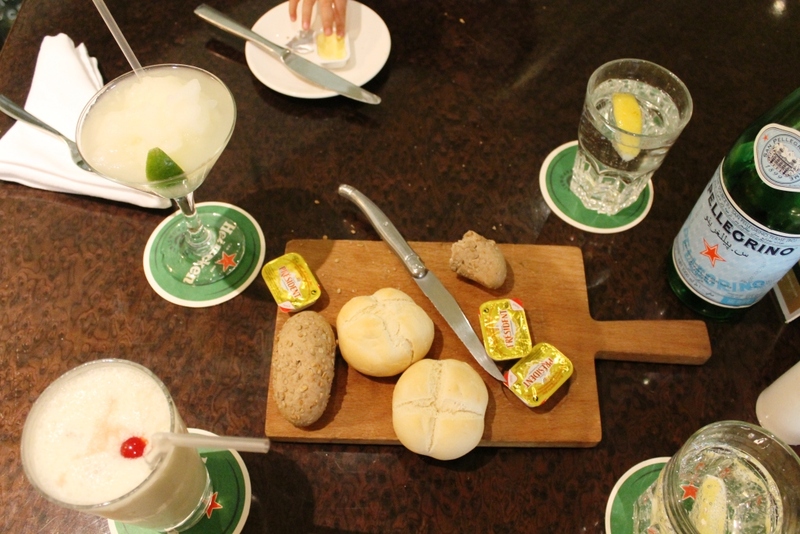 Our drinks arrived with some soft and hot bread, and we wasted no time digging into it. 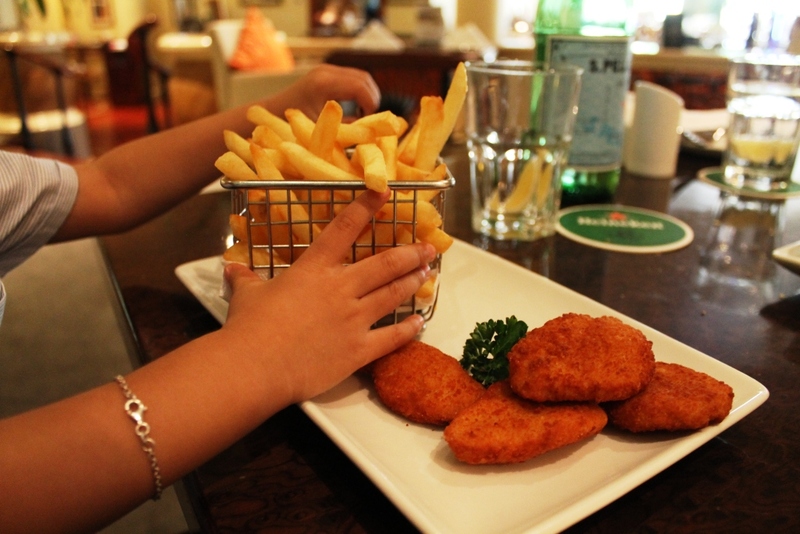 Carter’s also has a Kids Menu, from which we chose to go with the Chicken Nuggets, served with french fries, for our nuggets-obsessed Baby Z! This arrived soon after our drinks and it was apparent that Baby Z thought it was delicious since he devoured half of it in the first few minutes of arriving. I also appreciated that they brought out the kids meal before ours, because we all know how cranky hungry toddlers can get! 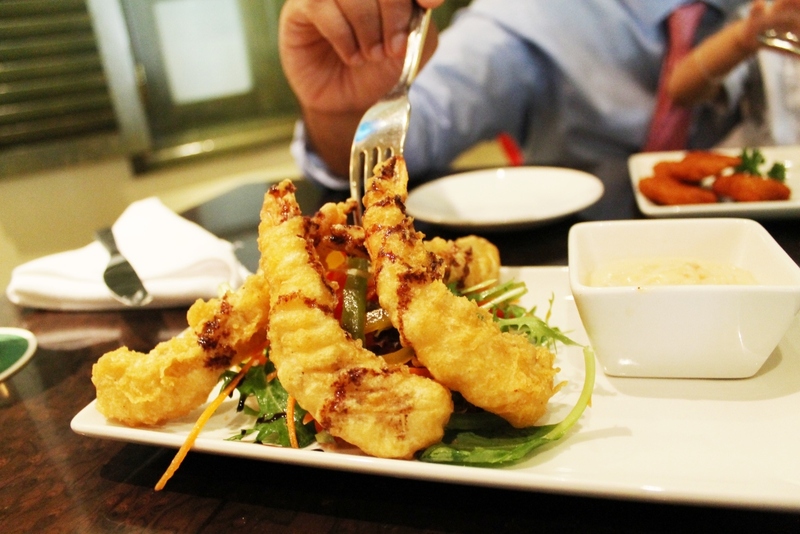 The Prawn Tempura is what we chose for our starters and I can not tell you how delicious those prawns were. They were served on a bed of salad, along with a sweet chili mayo and sesame sauce. They were the right amount of crunchy and yes, Mr Z and i did fight over who got the last piece! For the main meal, since I was craving a good old English meal, what better choice than to go with a plate of the traditional Fish & Chips. 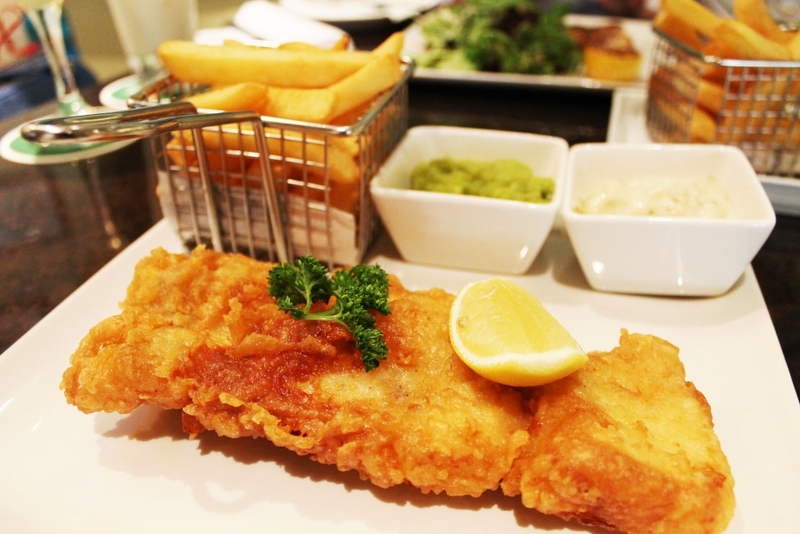 The Carter’s Cod and Chips is served with mushy peas and tartar sauce, as well as a side of hand-cut fries. On my first bite, I was transported back to my summer days spent on Skegness Beach, taking a bite of my freshly fried fish in crispy batter, hoping the heat will warm me up because let’s face it, summer by the beaches still meant snuggling in your jumpers and shivering whilst you played in the sand. 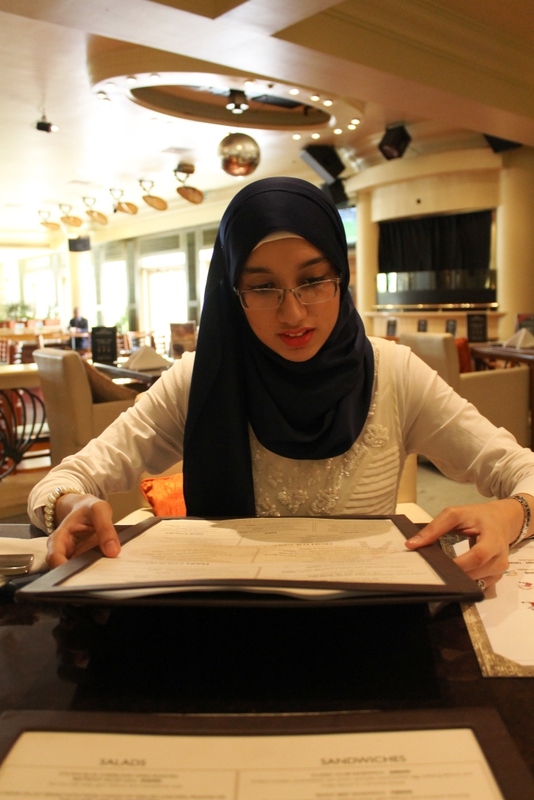 The meal was very enjoyable and filling, especially the tartar sauce which I could not get enough of! 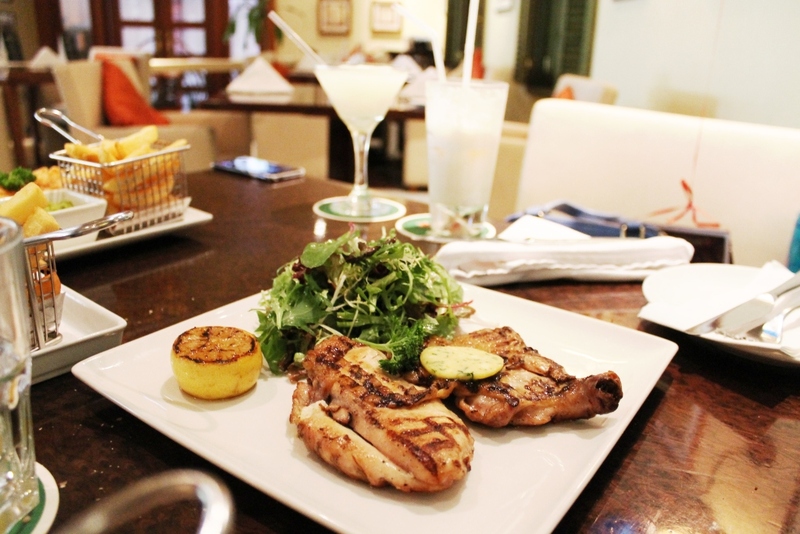 Mr Z opted for the Chicken Under a Brick, served with salad, herb butter and caramelized lemon. He also really enjoyed his lunch, and I loved the effort put into the presentation of their meals. The photos speak for themselves. 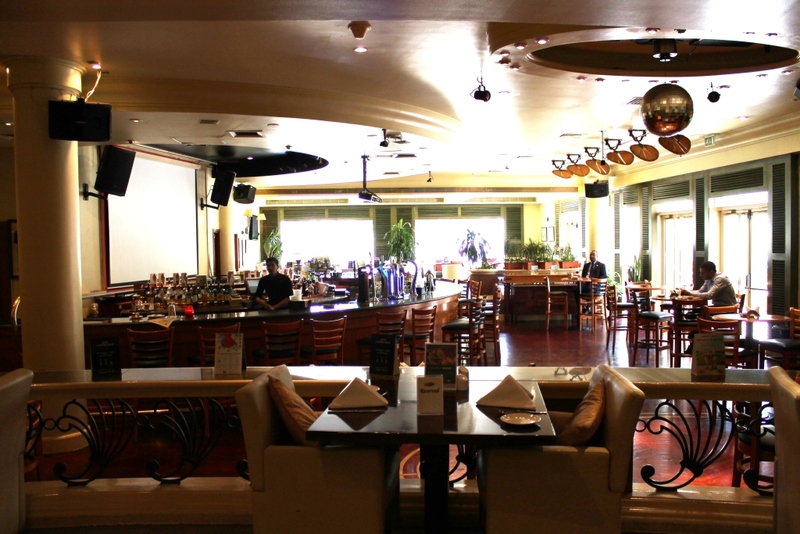 Carter’s also offer a wide range of Grilled dishes as well as Curries and Pies. I quite liked the sound of the Lamb Shepherd’s Pie with Mushrooms, another traditional dish, which I would love to try the next time we dine at Carter’s. 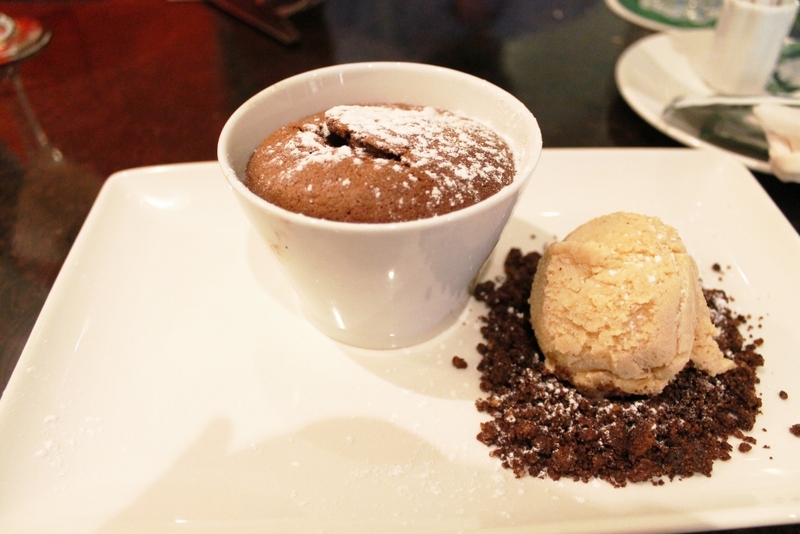 For a sweet ending, I decided to order the Chocolate Coulant with Caramel Ice cream. I wish I could show you a photograph of how deliciously gooey the coulant was in the inside, but I was too busy licking it off my spoon to take a photo. I was not a big fan of the caramel ice cream, as with anything that has caramel in it, but that is just my personal preference and the coulant was good enough on its own to be honest. I did enjoy the crunch of biscuit though, and the dessert was also approved by Baby Z, forcing me to take bigger bites so that he did not finish the entire thing on his own! Overall, we had a splendid lunch at Carter’s, and I would definitely recommend it to anyone looking to enjoy a traditional English meal or for football fanatics who want to enjoy a meal whilst watching the game with other supporters. 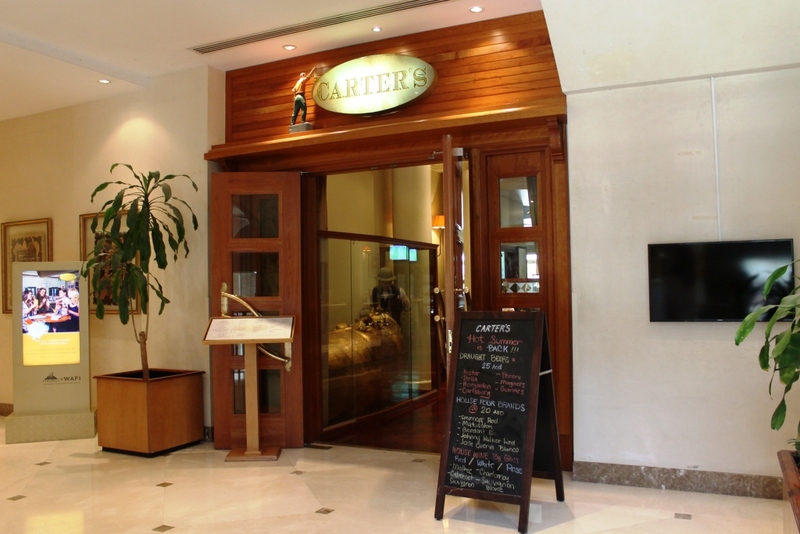 In fact, if you are looking to watch the Euro 2016, Carter’s are offering a great sports menu with dishes from AED 30 as well as amazing drink offers. Note: I was invited by Carter’s for a review, however all views and opinions expressed above are honest and solely my own. Have you tried out the menu at Carter’s? What are your thoughts? Please feel free to share in the comments section below! Yes, it was delicious too!